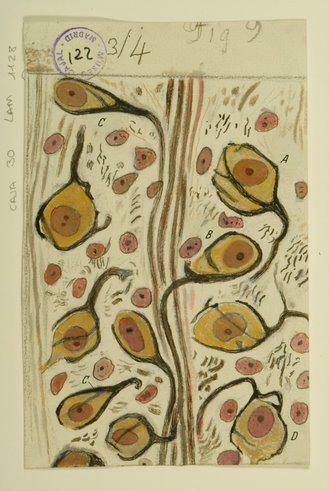 A drawing by Santiago Ramón y Cajal depicts calyces of Held in the nucleus of the trapezoid body, 1934, ink and pencil on paper. Host Frank Stasio talks with museum curator Peter Nisbet and with scholars Stephanie Gupton and Richard Weinberg, both professors of cell biology and physiology at UNC-Chapel Hill, about the impressive way Cajal merged science and art. His drawings remain foundational in the study of neuroscience. Now, they’re also being recognized for their aesthetic beauty. An exhibit at the University of North Carolina at Chapel Hill’s Ackland Art Museum presents 80 of his detailed works, contextualized by older attempts to capture the brain’s anatomy and contemporary images powered by today’s technology.